Sump pumps are the answer for the majority of basement leaking and flooding problems. J2Plumbing provides commercial and residential plumbing service. We will install a premium sump pump system in your basement that would direct excess water away from the basement foundation. Your electric or battery powered sump pump system will release the water out of your pit or wherever local codes requires. If you do not have a basement we offer complete flood control systems. From drain tile installation to basement waterproofing, we keep you dry with the finest sump pumps in Decatur, Lithonia, Buckhead and the nearby areas. Well, it depends on the type of unit you choose. Traditional water heaters could last up to 10 years. Tankless water heaters should last 7 to 10 years longer. Hard water will kill the unit, but regular preventative maintenance will enhance the units life expectancy. We all experience water heater problems. Most times the issues are an easy repair (pilot light out discharger or pan clogged). Once in a while the problem grows into a big one. If you’re experiencing no hot water or a leaking water heater, then you’ll want to call a specialists аt J2Plumbing. We have different tank sizes and models of tank water heaters for you to determine the unit that best fits your need. Are you looking for a water heater that provides hot water instantly, never runs out & potentially save you 100’s of dollars on your utility bills? Then a tankless water heater is the right choice for you. Yes that is right, Atlanta! We help you get back to business. If your business suffers a plumbing, sewer or drain problem, you can count on J Squared Plumbing Co.,Inc. to minimize your downtime. Our professional technicians arrive promptly, diagnose the problem quickly and get your problem fixed right the first time. And we’re here 24/7 in case of an emergency—including nights, weekends and holidays. Your business is our business. Our commercial account representatives and technicians will consult with you to determine your specific needs—from preventative maintenance to emergency services. 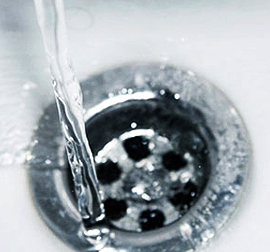 We’ll design an ongoing plan to ensure your plumbing, sewer and drain systems operate properly. Expert Assistance. Our representatives will customize service to your needs. Service Guarantee. The most comprehensive warranty program in the industry. Priority Scheduling. We’ll arrange an appointment at your convenience. 24/7 Emergency Service. We’ll get you back to business 365 days or nights a year. Free Commercial Estimates. Up-front pricing ensures no surprises. Preventative Maintenance Plans. Comprehensive maintenance customized for your business. Trustworthy Technicians. Extensive background checks and drug tests are conducted on all of our employees. Licensed. Plumbing, heating and air conditioning professionals you can trust.